The HUI is coming unglued on the charts with the index falling below long-term chart support at the 200-day moving average in today’s session. 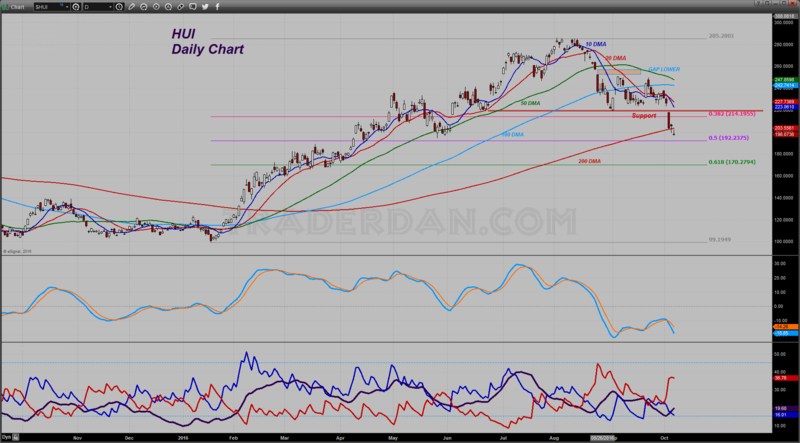 It had not been below that key technical indicator since early February of this year. We are also now seeing the 50-day moving average and the 100-day both moving lower. More importantly, the ADX line, is now beginning to rise as the price moves lower. This is ominous as it suggest, NOT CONFIRMS – that the possibility of a trending move lower in the shares is underway. The index is a mere 6 points away from having retraced exactly half of the entire move up this year. You can see that 50% Fibonacci retracement level coming in near 192. That really is the last line of defense for the bulls. They either hold it there or it is not unreasonable to expect a move all the way back down to 170. The other problem with the mining share weakness is that it is telegraphing more losses in the gold price itself. 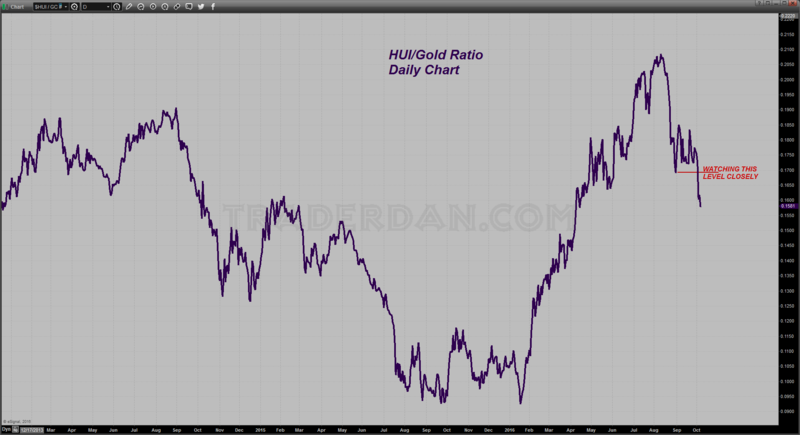 Look at how sharply the HUI/Gold ratio is now falling. The one saving grace that I see in the gold area is the fact that the reported gold holdings in GLD have yet to experience a substantive drop. Look out if that starts to happen. We have a payrolls report due tomorrow morning for the month of September. If it is strong, gold is not going to hold. The only hope for the bulls right now is that the report is weaker or weaker than the average pre-report guess. By the way, First Majestic, cannot get any upside traction. 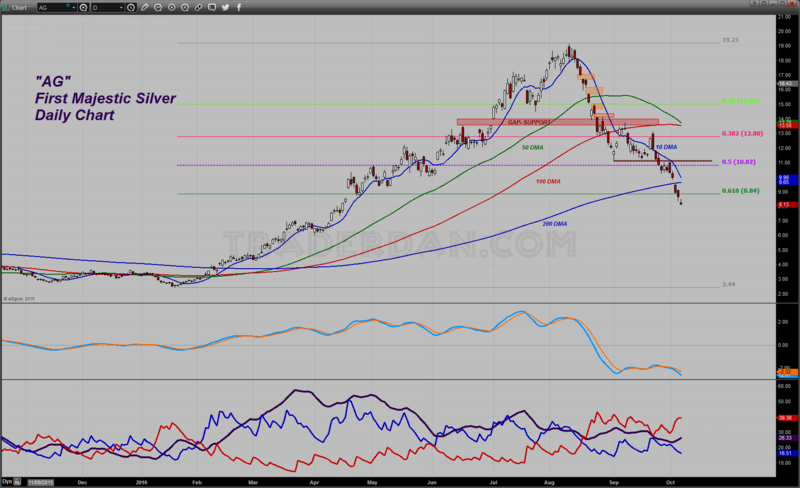 This suggests that silver has further yet to fall. It is amazing to me to watch a stock lose 60% of its value in the matter of two months.